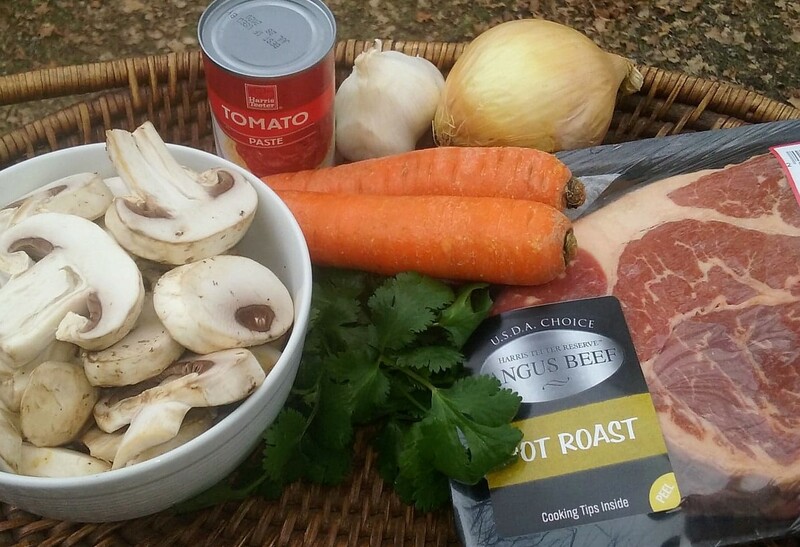 A cold day is the perfect time to make this classic French stew. It takes over an hour just to braise the meat, and your house will smell amazing the whole time. 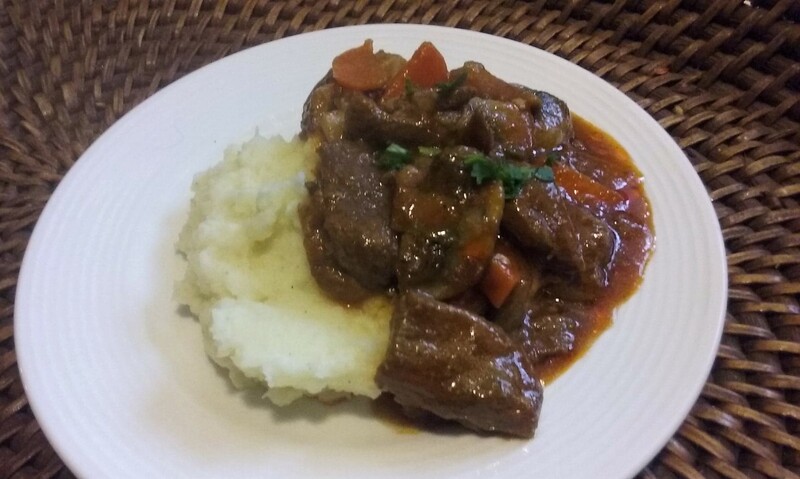 In my family, ragout is a simple tomato-based stew with carrots, onions, and potatoes. You can use pork, chicken, or beef, but it is always tomato-based and served with a starch. This Sainsbury's version is very close to what I do, with a few simplifications. In a large, heavy pot, heat the oil on medium high and brown the meat. Add the garlic and onion, a dash of salt and pepper, and mix well until fragrant. Deglaze the pot with the red wine, scraping the bottom if necessary. Add the beef stock, lower the heat to medium, and simmer for an hour. Add the carrots and additional water if the pot is running dry. Simmer for another 15 minutes. Add the tomato paste and mushrooms, simmer for another 15 minutes, stirring well. Season with salt, pepper, and garlic powder to taste. Finish with the chopped parsley and serve with rice, mashed potatoes, or French bread and butter. You can easily use boneless chicken thighs or pork shoulder for this recipe. You need something with a bit of fat so it can become really tender. I like ragout with mashed potatoes, but if you're serving it with bread, you can put some diced raw potato in at the same time as the mushrooms. Peas and parsnips go well in this dish, too. You can use whatever type of parsley you'd like: Italian flat leaf, curly, or even cilantro if that's all you have on hand. Do you make ragout when it's cold? What is your recipe like? Let us know in the comments below! Want to try a delicious recipe for succulent Mojo roast pork? Check it out here!